Juventus have warned Barcelona they must go through the correct channels to sign Paul Pogba but insist the France midfielder is not for sale. The Scudetto winners rejected a bid from the Spanish and European champions last month after the Catalan giants sent a delegation, led by the club's international sporting director, Ariedo Braida, to Milan for negotiations. "The situation is very clear between Barca and Juventus after the meeting we had in Milan. Barca made an offer and we replied." Joan Laporta has also said he wants to sign the highly-rated midfielder if he is elected president at Camp Nou again. "Whoever is interested needs to talk to us and not with agent Mino Raiola," Juventus general director Giuseppe Marotta said. "We have negotiated with Barca in recent months. We have done so in a serious and correct manner as it should be between two teams that have a lot of history and importance in world football." 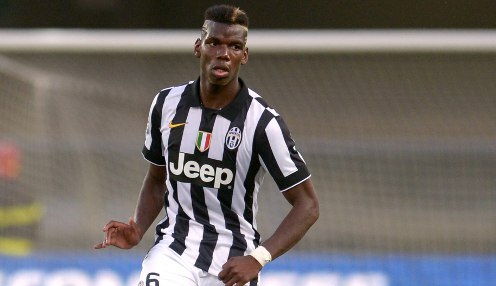 Former Manchester United youth star Pogba is under contract at Juventus until 2019 but has been heavily linked with a number of Europe's leading clubs. His agent, Mino Raiola, suggested a move to La Liga winners Barcelona could be done if Laporta is handed the reins back at Camp Nou - but Juventus insist there is no agreement in place. The Turin giants also insisted coach Massimiliano Allegri is under no pressure to sell despite the arrival this summer from Real Madrid of fellow midfielder, Sami Khedira, on a four-year deal. He added: "The situation is very clear between Barca and Juventus after the meeting we had in Milan. Barca made an offer and we replied. "In any case Barca cannot make any signings and Juve does not want to sell." Juventus are currently priced 1/1 to win next season's Serie A and quoted 1/1 in the Champions League outright betting.